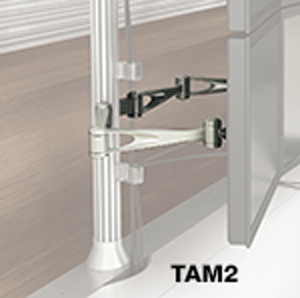 The TAM2 is the monitor arm extension only the needs to be added to the TAMSP or TAMDP to mount the monitor to. The customer would order the needed arms to match the number of monitors they need to mount. 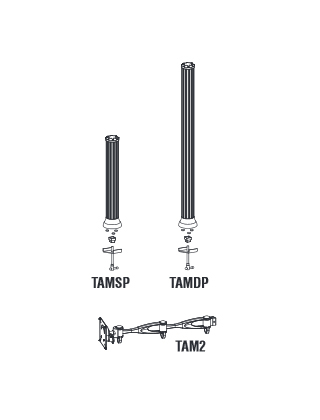 Manual adjustment posts and arms available in extruded aluminum. 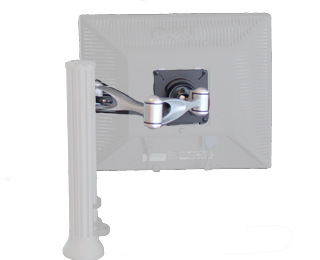 Aluminum posts available in 15" and 29 1/2"H.
TAMDP Will support up to 8 monitors. Available in Silver and Black accents only.